Great Bradley Hall (The Hall) is the most significant building in the Parish, and it is tucked away so that most passers by will hardly notice it. The building is the latest manifestation of a classic Suffolk Manor House, the principle residence of the Lord of the Manor of Great Bradley. The ownership of the manor can be traced back to Saxon times and is currently owned and lived in by Charles Ryder. The part timbered, part brick barn, which runs along the west boundary of the churchyard, is magnificent in its proportions. The timbered section is said to be late 17th century and has recently been cleared inside to reveal massive oak timbers of great height and length. The pitch of part of the roof clearly indicates that it was designed to take a thatch. On the adjoining brick section the words 'Wright 1821' are carved on one of the interior beams. The whole area of the barn makes one enormously long, high building which is unique in the area. Indeed, this perfectly preserved building must be a showpiece.
' 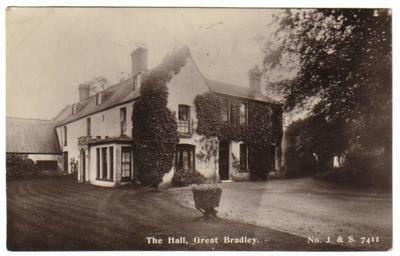 When the third Henry was on the throne the manor of Great Bradley seems to have been held by the well-known family of Bigod, but shortly afterwards it was owned by Sir Hugh do Lopham, who in 1305 granted the manor, with the advowson of the church, to Sir John de Cotecourt, and Matilda, his wife. Sir John was a person of some importance in the land. Amongst the high offices he held being the Governorship of St. Briavel's Castle in Gloucestershire, whilst he was an Admiral of the King's Fleet and was summoned to Parliament as a baron. He was succeeded by his grandson of the same Christian name and this John also played a prominent part in affairs of consequence, both as a soldier and as a politician, fighting in the French wars and sitting in Parliament for some 43 years. Through the marriage of his granddaughter, Joyce, to Sir Hugh Burnell, the manor went to the latter, but there was no issue, and for some years it is doubtful who actually held them. 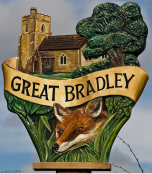 Eventually, however, we find it in the hands of Bartholomew Brokesby, whose death occurred in 1524 and following various changes, it came to Thomas Brand in the middle of the 18th century. The present house is stated in Pevsner's 'Suffolk (Buildings of England)' as being 17th century; it is certainly late 17th or early 18th. In about 1877, the Hall had a drawing room, two bedrooms and a dressing room added which, again, Pevsner described as 'good 19th century', but there were quite possibly early l9th century alterations made as well. The Victorian addition to the house is easy to observe from the road, for it is the wing which faces the drive and which is built at right angles to the remainder of the house. It has a Burwell brick chimney as opposed to the red brick chimneys of the original part, and its architecture is very similar to that of the Old Rectory. In other words, the original part of the house was one rectangular building, with the main entrance to it being half way along the complete structure on the west side, the house being of room-width depth. A dairy also existed in earlier days at right angles to the main structure of the house. The Jacobean quarters at the rear of the house are spacious, light and airy, and the present dairy, which is large and pleasant, is complete with marble slab. Here, butter was made and stored until the early 1950's. In 1771, Thomas Brand married the Hon. 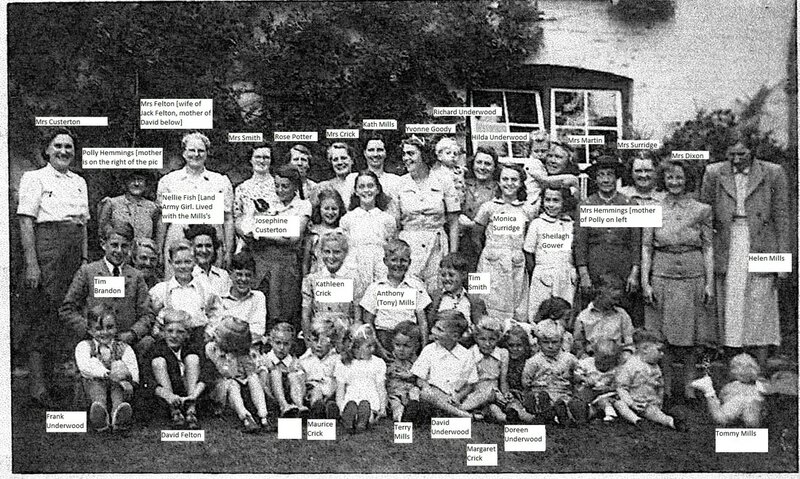 Gertrude Roper, sister of the eighteenth Lord Dacre, and the manor passed to their son, the twentieth Lord. He chose for his wife a daughter of Admiral Sir Charles Ogle, but, dying without issue, his brother succeeded. This brother, who, of course, was the twenty-first Lord Dacre, had fought well and bravely in the Peninsular War, and in 1824 assumed the surname of Trevor. His death occurred in l853 upon which his eldest son inherited, and, he dying in 1890, was followed by his brother, Henry Bouerie William Trevor. From the kitchen quarters there were two staircases, one of which has now been blocked in. There are cellars underneath and attics above extending the whole length of the roof space. There is a spring under the kitchen window the water from which runs down into a pond in the garden. 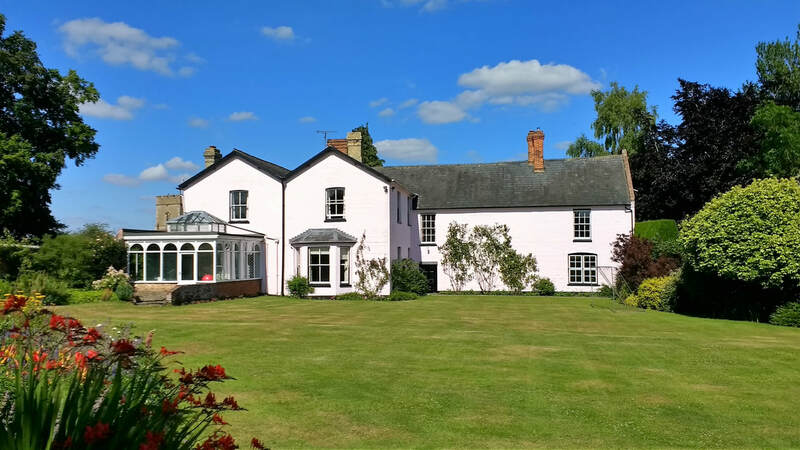 The interior of the house is beautifully maintained, whilst the additions and alterations which have taken place over the years have been sympathetically constructed and have contributed a charm all their own to the earlier manor house. 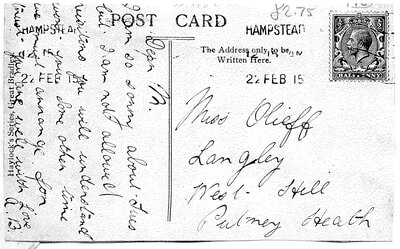 The Postcard is stamped 22 Feb 1915 from Hampstead, to Miss Olieff [?] 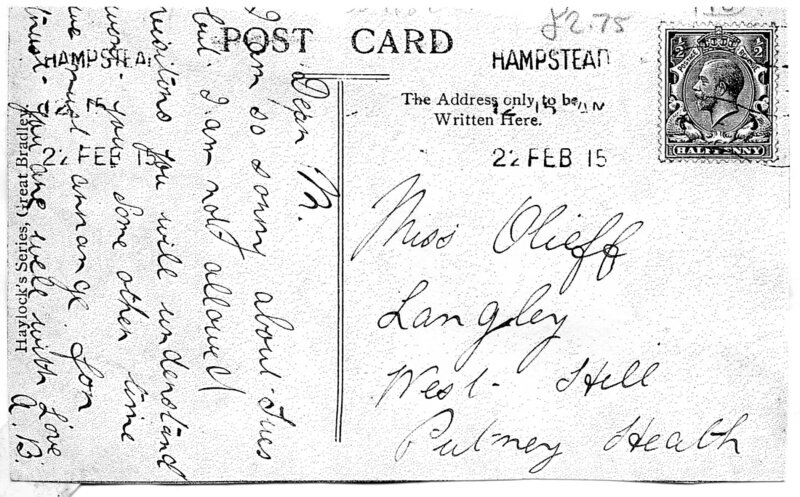 Langley, West Hill, Putney Heath.